Is nothing everything? As strange as that question looks at first sight, it will definitely make sense after reading NOTHING MATTERS. 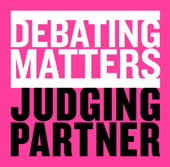 Provocative and accessible, free of jargon, NOTHING MATTERS shows that there is more to nothing than meets the eye. History, the arts, philosophy, politics, religion, cosmology - all are touched by nothing. Who, for example, could have believed that nothing held back progress for 600 years, all because of mistaken translation, or that nothing is a way to tackle (and answer) the perennial question 'what is art'? NOTHING MATTERS is a genuine attempt to look at the world in a different way, to give new angles to old problems and so to stimulate new thoughts. 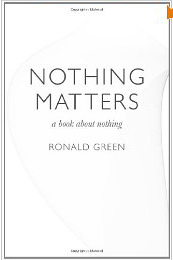 Sure-footedly, with flair and enthusiasm, Ronald Green takes the reader on a path through nothing to everything it touches, linking facts and information that lead to surprising conclusions. Born in London, teacher, lecturer and writer, with postgraduate studies in linguistics and philosophy, Ronald is the ultimate researcher. His short stories have been published widely. He lives in Israel.